By now you’ll be familiar with my belief that the purpose of a business is to create financially freedom for it’s owner. Of course, you can’t be financially free without money. For most of us, we can’t live the life of our dreams and add value unless we have a healthy attitude to money. Mother Theresa, Buddhist monks and other humanitarians might be able to fulfil their purpose in life without money. But they are not reading this blog. They are not small business owner-operators looking to create freedom and wealth from their business. For those of us looking to make our way in business in western society, we need to love money, respect it and want to use it wisely. You’ll be amazed how many business owners I work with who limit their own success due to an ingrained fear of wealth. Is there anything buried in your psyche that limits your ability to build wealth from your business? Have you ever questioned what might be limiting you from creating a business that makes you a lot of money? Here’s an exercise to help you check in with yourself about your own attitude to money and wealth. Find a pen and paper, and draw two columns. On one side, write the heading ‘Positive Attitude to Money’ and on the other, write ‘Negative Attitude to Money’. List as many things as you can in each column. Put your positive beliefs and feelings about money on one side and negative thoughts and feelings on the other. What does this list tell you? If you have more negative thoughts on one side than positive, it’s possible you’ve got some negative beliefs that are holding you back. This will be true for many people. If that’s the case for you, you might want to do some work about that. You might want to reconsider your underlying beliefs about money. 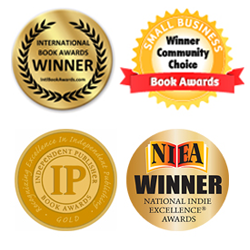 Contact me at laura@liber8yourbusiness.com if you’d like to know more about this. OMG! How long can you own a niche? Well now there’s Slamm scooters… you tell me the difference between the two. And what lessons can we learn from this folks? 2. Direction. Now you need to make sure that they understand the big picture, they know what’s expected of them. These things come from the direction that their manager or leader gives them. 3. Opportunity. This is the time or resources that they have to be able to do their job – have you given them the opportunity to excel? 4. Motivation. And finally is the motivation factor which is about ensuring people feel their work is important, that it’s worthwhile and they are making progress towards their personal goals. You know I love to find inspiring business models to share with you. And this has to be one of them…. MADD, best known (if you have any children age 7 – 12 right now) as the makers of the MGP Scooters. You know, those colourful things that have condemned all other, perfectly good working scooters to the back of the shed or onto TradeMe. Yes, every child has to have an MGP scooter and no other scooter will do. The wild phenomenon that is MGP only became clear to me when my 9 year old son George insisted that he use his Christmas money to buy a new scooter. There was some resistence from me as he already had a perfectly good scooter which he hardly used. He didn’t even seem interested in scooters, hadn’t used his for months. But he was adamant. He HAD to have an MGP. Life depended on it. Only when he scootered proudly into school with it did I realise how many other MGPs were in the playground. I counted 30 lined up in the new scooter stand (which only seemed to have appeared in order to house the rapidly multiplying number of MGPs hitting the school premises all of a sudden). From then on everywhere I looked there were colourful MGP scooters. 15 outside the dairy, 9 counted with country kid riders when we went over to our holiday home in Martinborough. MGP scooters taking over the world. But it didn’t stop there. Soon George was talking about wanting to customise his scooter with different handlebars and wheels. He started learning tricks on his scooter and watching videos on You Tube. It seems MGP are seriously cool. I began to realise something very special was happening from a business perspective here so I did a little digging. When I googled MGP Scooters, the full scope of this great business became apparent. We are talking cool gear – shoes, t-shirts, hoodies the like. We’re talking merchandising onto kids’ collectable toys… mini collectible scooters, ramps etc. MGP stands for Madd Gear Pro… so I went to the maddgear.com website to discover even more to marvel at. MGP has teams competing in and are sponsoring major scooter events all over the globe . The business was started ten years ago by a guy called Mike Horne who had a vision to “create an Aussie Brand for Aussie kids”. It seems he’s done a lot more than that. He’s created a brand phenomenon for kids all over. A company that is living its brand, loving its sport, getting involved in the community, taking its Pro Team on tour to ensure regional fans get to be a part of it. I was up at the crack of dawn to work on my book again this morning. The chapter I’m working on is called “Driving value through your brand” and I find myself studying the great brands of our time to demonstrate some of the points I’m making. You can’t really write a chapter on branding without looking at Apple. And you can’t look at the Apple brand without thinking about the core driver of this brand. Apple’s positioning line is ‘Think Different’ and these two simple words drive everything the company is about. And in an instant they explain why this company is so successful. Things are moving so fast right now in the world of technology and business. Nothing is what it was six months ago even. The companies who embrace change and implement new ideas quickly are the ones who will flourish. My tip for you today is to spend an hour or two this week thinking differently about your business. If you were to embrace the culture of Apple, just for a moment, how could you be the most innovative company in your industry? Your profits come from your customers. They rule your world. But how much are you interacting with them? Do they feel like the Kings and Queens of your Universe? Are they loved beyond compare? Are you showing them the respect they deserve? Decide what profit you want/need to make this year. Then put in your expenses for the year, using last year’s expenses plus some extra for growth. This will tell you what your Gross Profit needs to be (Gross Profit minus expenses = profit). The put in your cost of sales based on last year’s margin (Sales minus cost of sales = Gross Profit. The margin is the % difference). This will tell you what your sales income needs to be to meet profit targets. Then spread all the numbers out across the 12 months, allowing for a ramp up across the year as your sales and marketing plans kick in. This is your budget. Beside each budgeted figure each month there should be an ‘actual’ column. This is where you put in what actually happens each month so you can see how you are tracking against budget. Of course you need an awesome plan to achieve your targets each month. That’s the game… set the targets, plan the attack and achieve them. 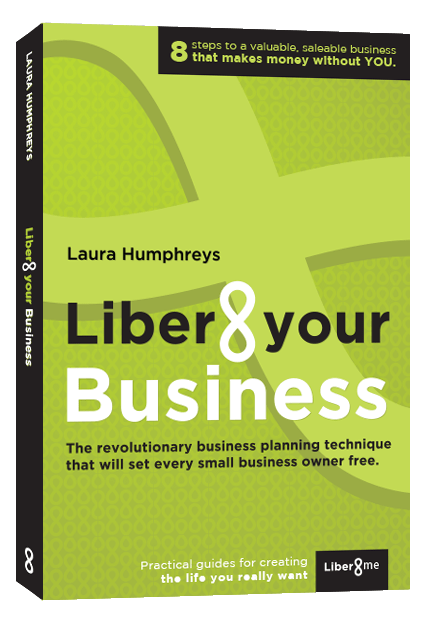 If you want to know more on how to do this and all the planning you need to achieve targets.. join the liber8yourbusiness programme! In other words, don’t kid yourself you are something you are not. In business it’s all too easy for us to convince ourselves everything is alright. That we are running a wonderful business (just because you are telling the world you are doing famously, doesn’t mean its true) and will one day be millionaires. Here’s the thing… you have to know what’s really going on with your business. You have to know what your targets are, what your breakeven points are, what your margins are and how you are tracking against all of these. Don’t leave it to the end of the year to find out if you are making money or not. Do a reality check on your numbers right now. Get your foundations strong… then blow your targets out of the water!